Last week the Energy Institute and POWERful Women hosted a roundtable discussion on ‘The importance of women in energy’ to address the barriers facing women working in the global energy sector. The numbers of women in STEM – Science, Technology, Engineering and Maths – careers are significantly lower across the globe. By 2030 the POWERful Women (PfW) initiative aims to have women in 30% of energy sector board positions with 40% of senior management positions held by women. 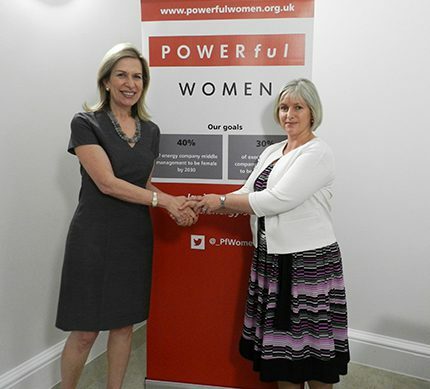 A report – www.pwc.co.uk/powerfulwomen – published by PfW earlier this year makes it clear that there needs to be a stronger, more determined focus from CEOs in taking the lead in maintaining a better balanced workforce. More women should be encouraged to take up careers in energy at all levels. This event highlighted some of the major challenges women face and what is being done to cultivate a climate that can better promote opportunities for women and others who have been traditionally underrepresented in the energy sector.